The Geek Travels: Hey Boss! Barbeque? If you are a keen observer, you will notice that there are LOTS of chicken and pork barbeque restaurants here in Davao City. 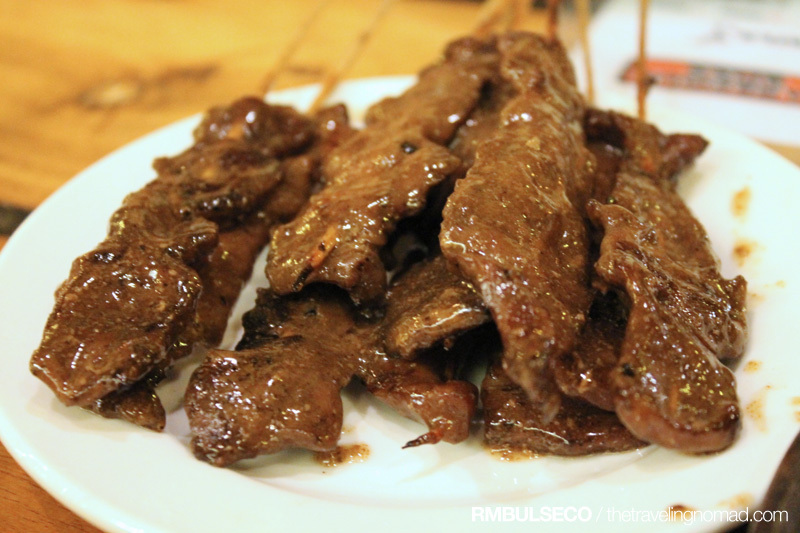 It's pretty obvious that Davaoeños really love to eat those grilled goods. Sa walay pag duha-duha! 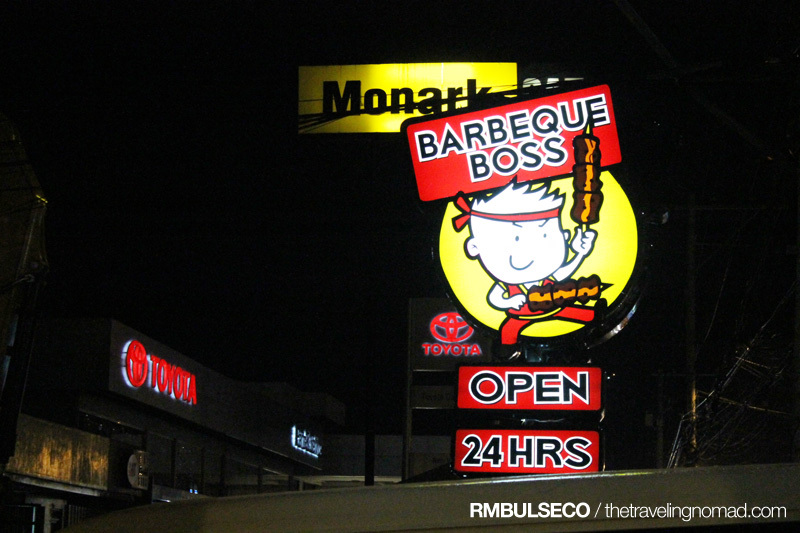 And for the last destination of the first day of Sooo Pinoy Food Trip Davao, we invaded the Damosa-Lanang branch of Barbeque Boss. 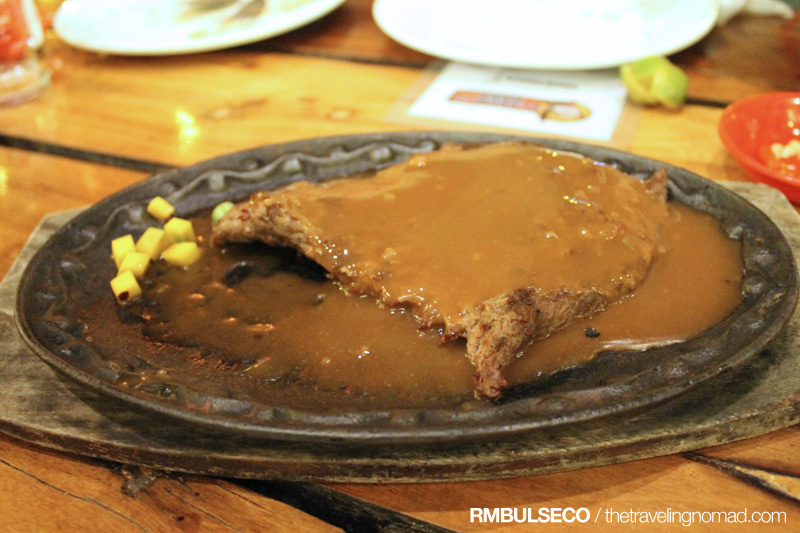 Barbeque Boss is a wholesome, family-oriented restaurant with barbeque and steak offerings. They also serve ice chilled beer and other refreshing drinks. While feasting ourselves with mouthwatering dishes of Barbeque Boss, we had the chance to interview the owner, Mr. Radley Barrientos. The restaurant started last 2002. The setup during that time was simple - a small restaurant located at Rizal Promenade with only eight tables that sells pork barbeques at an affordable price. It was an instant hit to the general public. With the help of Unilever, it grew into a full-blown restaurant last 2006. 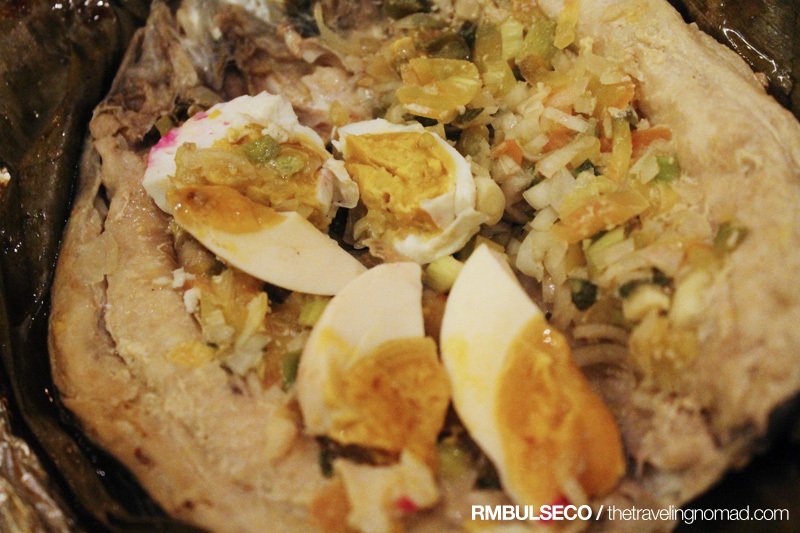 Today, they serve not just pork barbeque, but other famous Filipino cuisines as well. We tried their Stuffed Bangus with Salted Eggs (I highly recommend this), Boss Prime Steaks and their bestselling pork barbeque. And then, we asked the most controversial question: Why Barbeque Boss? Sir Radley smiled and answered our query in a straightforward manner. "We got that idea from this overused question: Barbeque Boss?" We aaaaaaaahhhhhh-ed and laughed in unison. And the coolest thing about Barbeque Boss? It is open 24 hours a day, 7 days a week! I got to say this is one of my favorite bbq restaurants in Davao. Their branch in MTS is where my friends and I used to eat. We couldn't start eating without 'Hinalang' on the table. Ahaha, dun pala galing yung name. Aliw. The barbecue just made me hungry Boss. => I'll try this out when one of this day I manage to get lost in Davao. I always see this bbq house whenever I pass along Quirino st., but I still haven't tried their bbq yet. The business name derivation is quite innovative, may instant recall! Wow! ang sarap naman nito! pampa Highblood! !Yung BBQ tapos yung sa gitna di ko alam ang tawag pero mukhang masarap! Love the aesthetics! Great post :). I hope you can check out my site: http://theproverbs.net and FOLLOW (at your own will). Meantime, I am going to browse through the rest of your site. Hope to hear from you soon, and follow. Thanks and God bless! WOW! 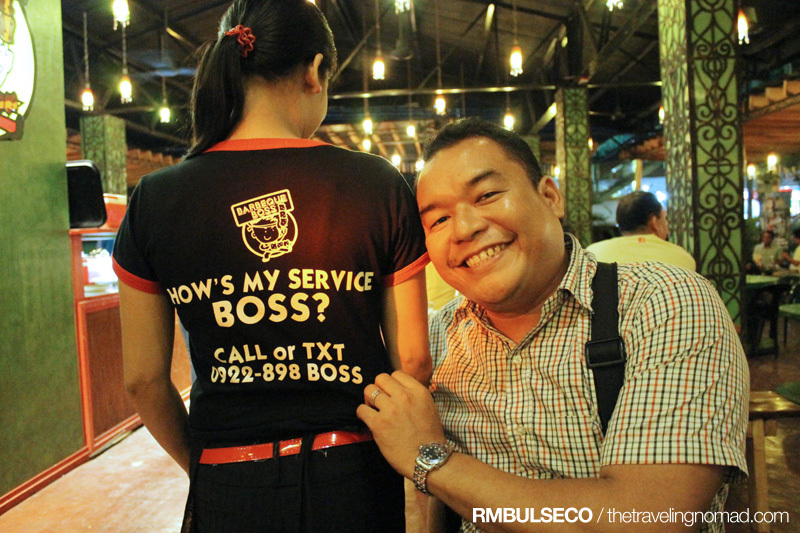 I'm the boss, kahit araw-araw barbecue, basta ako lang ang boss!!! Hindi ko pa napuntahan iyang Barbecue Boss naiyan sa Davao. Ang nakainan ko pa lang ay 'yung Penong's, which also has delicious barbecues. I've never been to this part of Davao City, but since you mentioned this is open 24 hours a day, I will try to visit this place one of these days. meron ba niyan sa davao? I had to laugh at how they explained where the name came from. Never been to Davao, I have to shamefully admit. But I do love a good old BBQ! This looks like a really nice place to grab good BBQ~ :D And wow, 24 hours open pa! Would love to visit this when I go to Davao. Very catchy place to eat your barbecue in Davao. I hope there is one like this in Manila. Puede kaya mag-franchise nito?